These city centre apartments are located at the west end of Princes Street and offer newly refurbished, well-equipped guest accommodation in the heart of the city. Shandwick Apartments has 24 self-contained apartments ranging from single rooms and studios to apartments with 2 double bedrooms. The apartments provide the comforts and privacy of a home, including kitchen facilities. Tourist destinations are accessible and the local area has many excellent cafes, bars, restaurants and shops very close by. The Playhouse Theatre and Harvey Nichols department store are a 15-minute walk away. 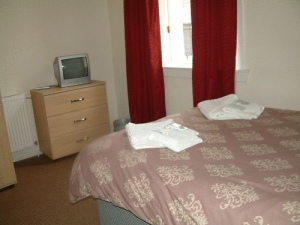 Edinburgh International Conference Centre is 5 minutes away.